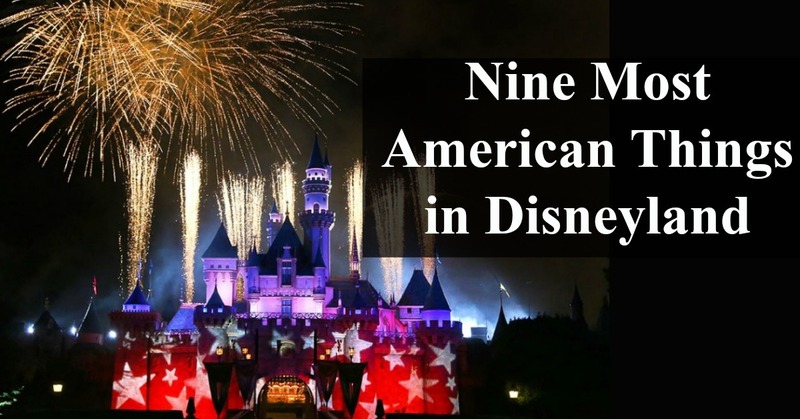 Disneyland is a truly American entity, reflecting Walt Disney, the great American Dreamer of the 20th century. This American dreamer is immortalized with patriotic experiences peppered throughout Disneyland. Below is a list of the nine top American things in Disneyland that will make you swell with patriotic pride. 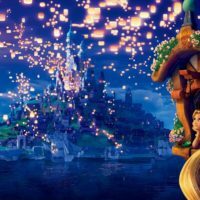 These attractions can be added to another list, Disneyland’s most cherished pieces, coincidence? I think not. Share this article by clicking below. Main Street USA acts as the entrance into Disneyland, representing everyone’s hometown across the country. In this land you will find vehicles representing America as it was seen at the turn of the 20th century. 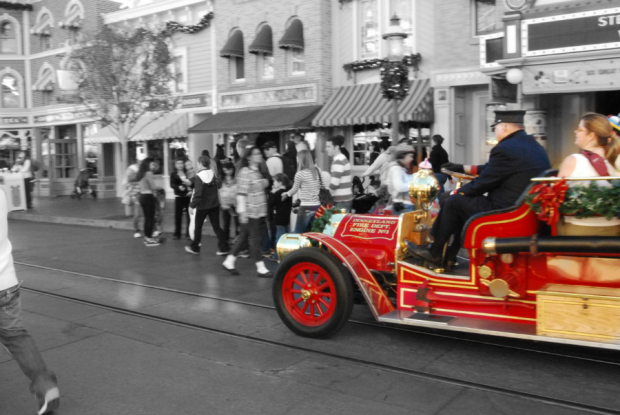 These vehicles include the classic horse-drawn streetcar, omnibus, jitney, and fire engine. Dotting the street are beautiful gas lamps adorned with the American flag. These lamps were purchased by the pound from Baltimore, Maryland and Saint Louis, Missouri for 5 cents a pound. Each lamp is about 500 pounds, making each about $25, and is over 150 years old. On December 22, 1982, Disneyland had a rare power outage, but guests were able to exit safely because of the light from the gas lamps. Main Street was imagined by Walt Disney to resemble his hometown of Marceline, Missouri, but was designed by Harper Goff who drew inspiration from his own hometown of Fort Collins, Colorado. 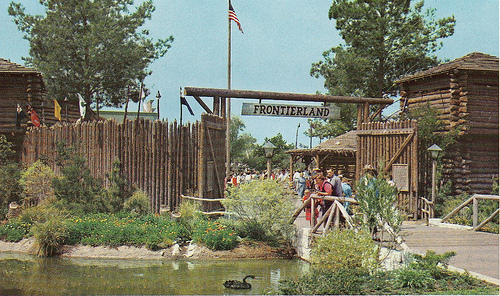 Frontierland represents the rugged Frontier of America, preserving the rough and tumble feel of the American West. The area brings the American West of the 1800s to life through a showcase of the natural beauty and promise for betterment in the future. More so than any other land in the park, Frontierland represents the power of the American people and their dedication to expansion and dreaming. 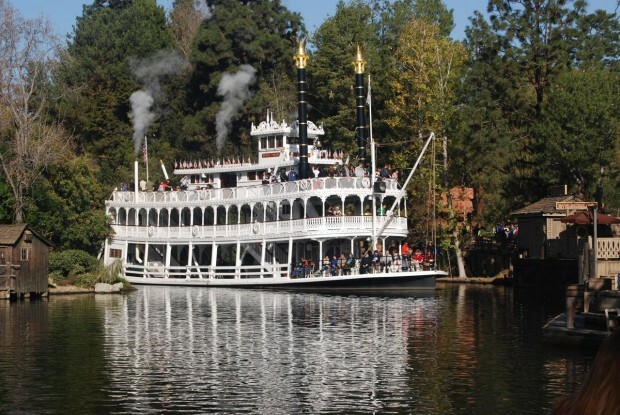 The Mark Twain Riverboat is modeled after the steamboats of the 1800s. When the Mark Twain was constructed in 1954, it was the first riverboat to be built in half a century. “Mark Twain” was a pen name for Samuel Langhorne Clemens who was a riverboat captain in his youth. On a riverboat, the calling of “mark twain” means “mark that the river is at least two fathoms deep”, which means it was safe for a riverboat to pass. The Sailing Ship Columbia was built following the plans of the original Columbia ship from 1787, which was the first American ship to ever full circumnavigate the globe. 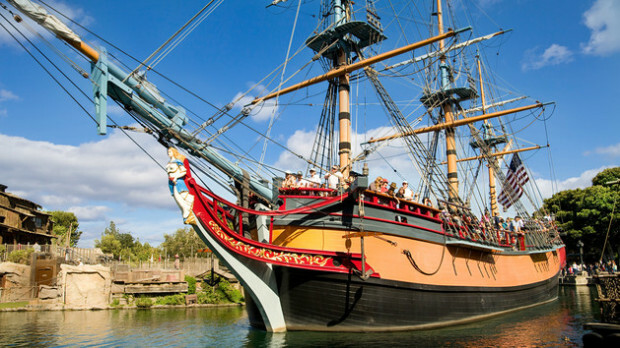 The ship has 10 guns, three masts, and is 84 feet tall. As part of tradition with sailing ships of this era, Walt Disney personally placed a silver dollar under each mast before it was set. Before Disneyland opened to the public, Walt Disney and his wife, Lillian, held their 30th anniversary here, which featured Wally Boag, who later went on to lead the Golden Horseshoe Revue. 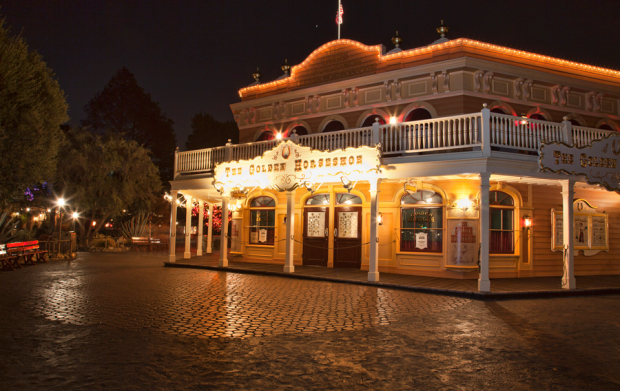 Disney Legend Harper Goff was the set designer for the saloon in the 1953 Doris Day film “Calamity Jane.” He used this same design to build the Disneyland Golden Horseshoe two years later. 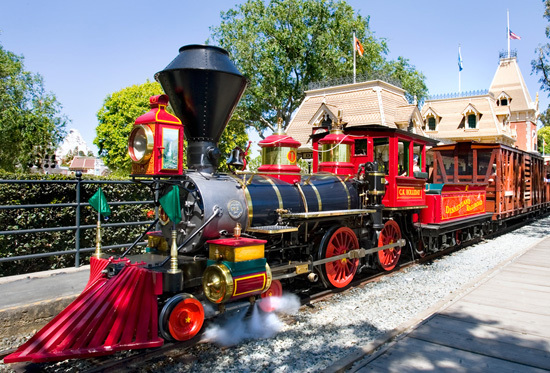 The Disneyland Railroad provides a grand circle tour of Disneyland. Railroads connected the western Frontier with the established East. This connected nation is celebrated throughout the journey on the Disneyland Railroad as you pass through the Frontier, New Orleans Square, and Grand Canyon. Walt Disney’s love of trains can be traced back to one of his first jobs, where he worked selling concessions on the trains passing through Missouri. Davy Crockett is a true American hero that has been celebrated throughout the parks. The Disneyland TV show featured the Davy Crockett story starring Fess Parker in it’s original season. 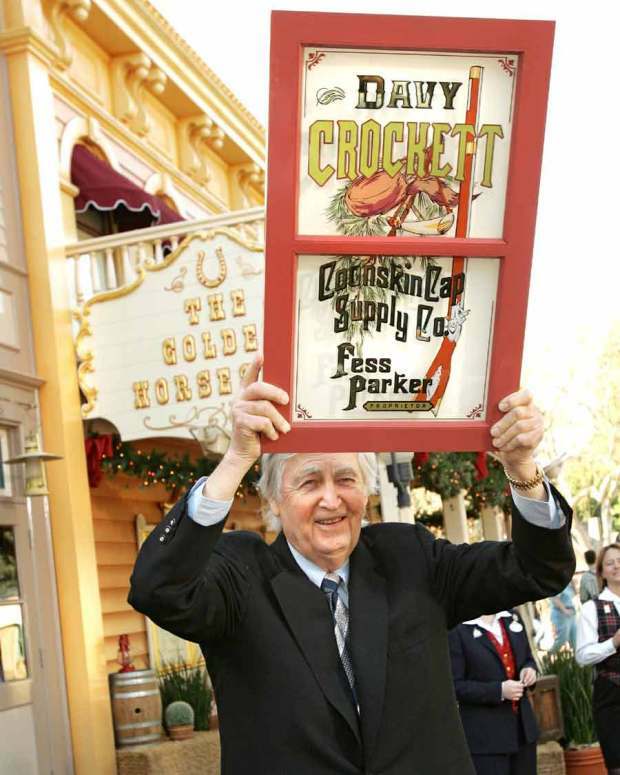 Fess Parker has a window celebrating his work as Davy Crockett hung adjacent to the Golden Horseshoe Saloon. 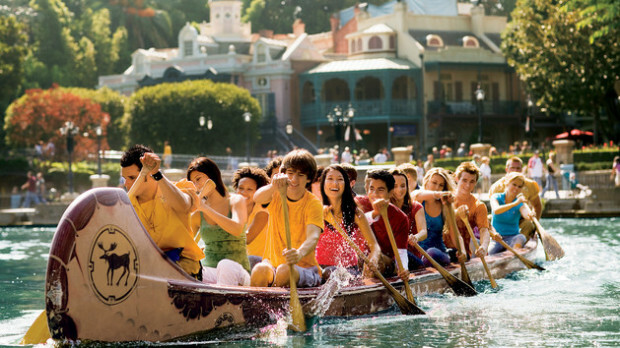 In 1971, the Indian War Canoes closed with the rest of the Indian Village, but unlike the village, the canoes reopened that March as the Davy Crockett Explorer Canoes. Now, guests can join Davy Crockett, the “buckskin buccaneer,” on the only guest powered attraction in Disneyland. Coast Guard participates in the flag retreat at Disneyland. Photo by Coast Guard. 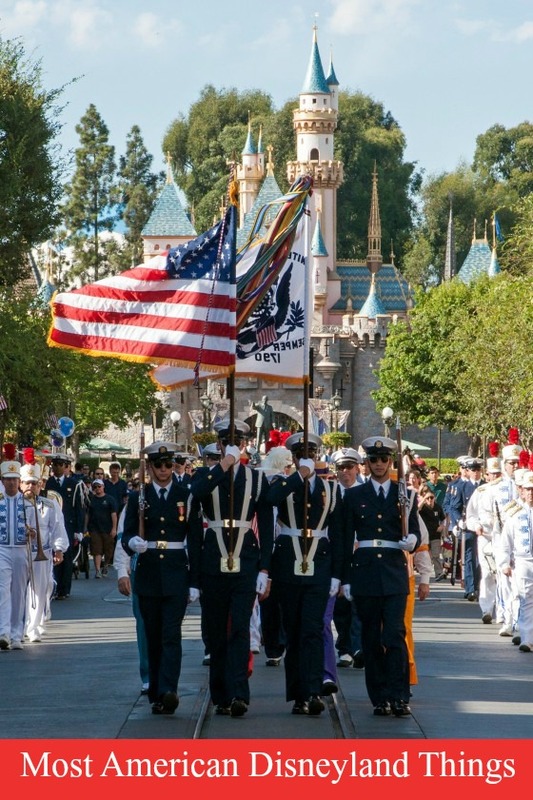 The Disneyland Flag Retreat is a heartwarming experiences that honors the visiting members of the armed forces and retires the flag each afternoon with the help of the Disneyland band. The flag retreat happens daily at 3:45 in Town Square. This short celebration is quite rare as it connects Disneyland guests with fellow guests who serve in the military. Main Street acts as the perfect background for this all-American celebration. For a great Disneyland secret about the flag pole, check out our ebook. 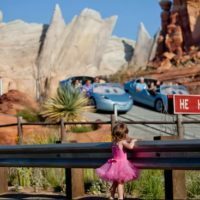 When I was walking out of Great Moments With Mr. Lincoln, I overheard a girl say to her boyfriend, “that’s the most American I have ever felt.” Her comment inspired this list of the truly American parts of Disneyland. 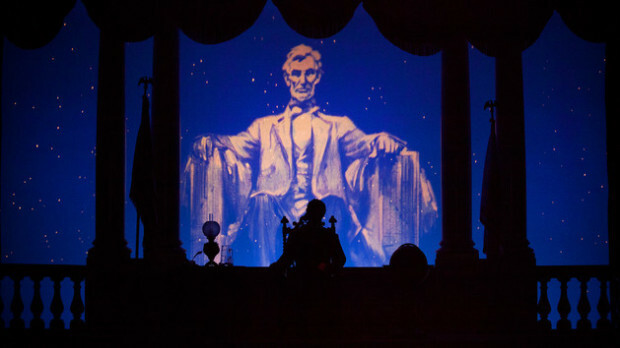 The Great Moments With Mr. Lincoln show features an American story set in the Civil War, the importance of the American Dream, an explanation of Abraham Lincoln, and a moving presentation by an Audio-Animatronic figure of Abraham Lincoln. This show’s audio portion is worth listening to if you haven’t seen the show for awhile. Listen to the full show here. The next time you are in the parks, think back to Walt Disney, the American dreamer that created the happiest place on earth. The American Way is represented throughout Disneyland as guests experience important pieces of the past. God Bless America, Walt Disney, and the American Dream that remains strong in the country and our own Disneyland. 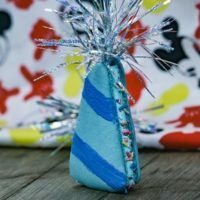 For more Disneyland fun and information, subscribe to our newsletter by click here and liking our Facebook page here. Thank you for taking the time to compile such a patriotic list! I love each of these attributes and attractions at Disneyland. Proof positive that Disneyland isn’t all about the rides and attractions, it really is a feeling of nostalgia and patriotism. Thanks Jim. That’s the way that I feel as well. After just finishing this list, I had another item pop into my head that seems obvious now that I think about it. The fireworks.